Working at an airport means being close to lots of jets. I love jets. 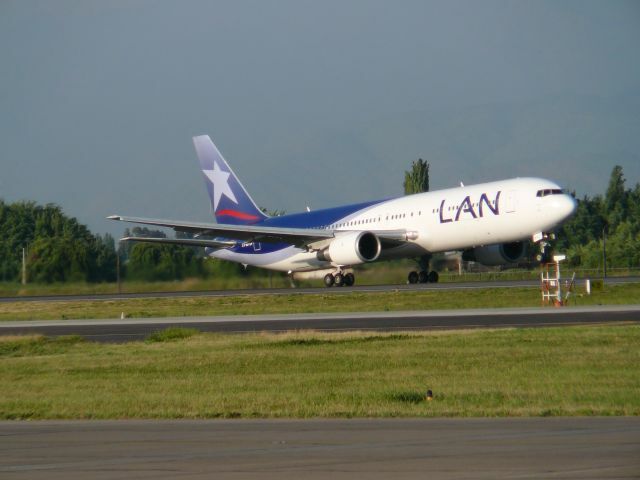 LAN is the flagship airline of Chile, and I shot this one at rotation. The equipment on the ground apparently in front of the nosewheel is part of a transmissometer used to measure visibility. We don't make it, but it's still a great picture.